The supply vessel En-One ran aground on the Gurupur river at Mangalore, India. 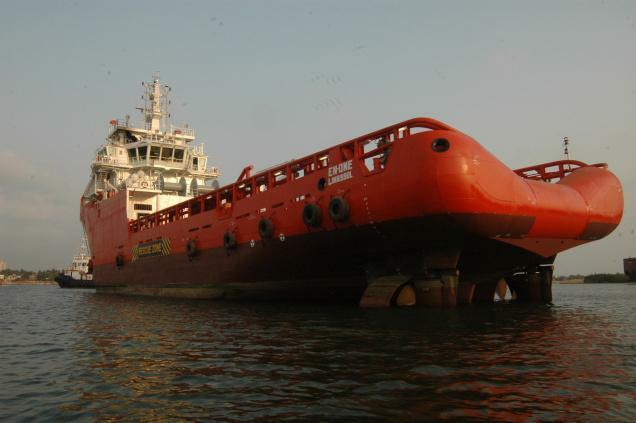 The vessel had just been launched from the Bharati Shipyard when it stranded on a sandbank. No reports of injuries or damage. The water level on the river was low at the time of the grounding. Reports state the channel require dredging. The navigation channel in the river has been a source of friction between the shipyard and local fishermen.